I’m a little behind posting the March events! It’s been a busy few weeks! 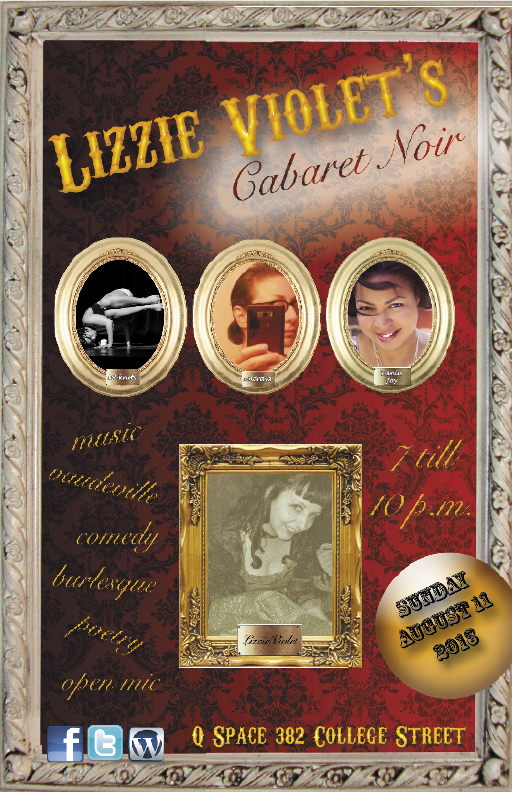 I want to give a great big thank you for everyone who made the 2nd year anniversary show of Lizzie Violet’s Cabaret Noir a huge success! Smooshies to everyone who has performed over the last 2 years! Here’s to many more years! Upcoming for the rest of March! 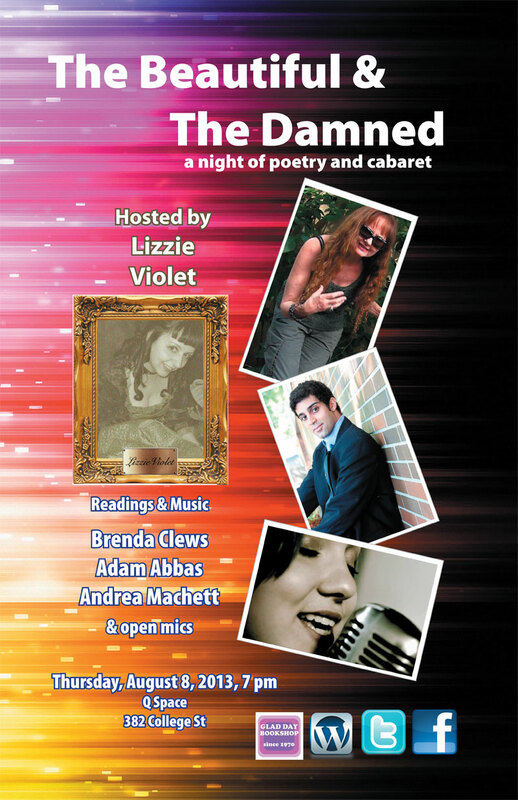 March 19th, I am hosting Wonderfest Poetry Series featuring Sue Reynolds, James Dewar and Addam Abbas! 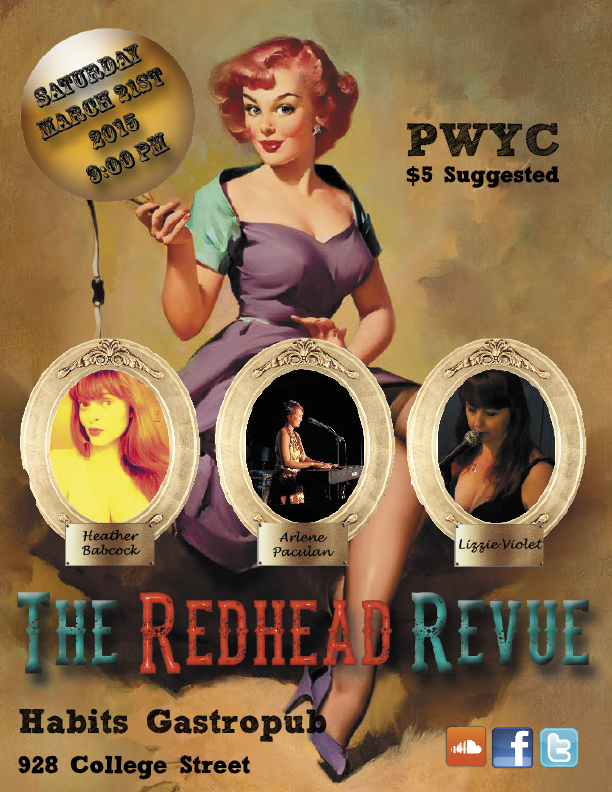 March 21st is the Redhead Revue featuring Heather Babcock, Dottie Dangerfield, Arlene Paculan and myself! 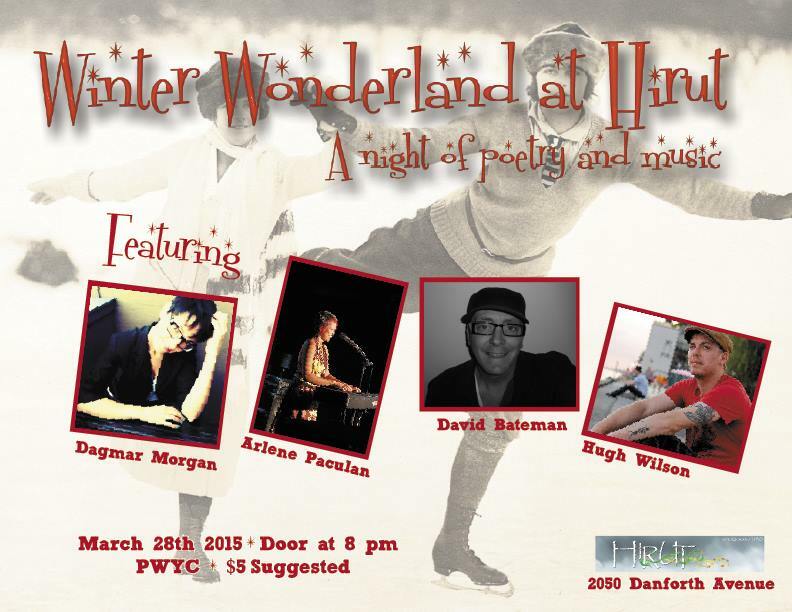 March 28th, Winter Wonderland at Hirut (all though it is officially spring ;)), featuring Dagmar Morgan, David Bateman, Arlene Paculan and Hugh Wilson! August will be sizzling with amazing! Hello all you beautiful people! August is going to sizzle with so much amazing stuff I can hardly wait! There are a couple amazing shows, I’m featuring in or hosting and we are gearing up to shoot a music video for a little ole script I wrote. Anyone interested in being part of the crew OR being a Zombie contact me at lizzieviolet13 [at] gmail [dot] com. The music video is for the the killer song ‘Zombie Love’ by Toronto’s most hated band I Hate Todd! Check out their page or message me for more info. We also have an invite set up on Facebook if you would like to be notified. Featuring Brenda Clews, Adam Abbas, Andrea Machette! Featuring sol knots, andraya and Tania Joy!